Queen Elizabeth I was a marketing genius. For years she convinced her loyal subjects that she was wed to her country and her God. A pious, chaste woman who was ruled by no man. Not everyone fell for this image, however, and perhaps it’s her DISloyal subjects who started the rumours about her lovers that have lasted through the centuries. So who were they? Charming, handsome, married. He had it all except money and influence until he seduced the queen. At times tempestuous and fragile, their relationship was based on passion and deep friendship. It endured up until Leicester’s death. The queen was said to miss him terribly. Perhaps it was love. 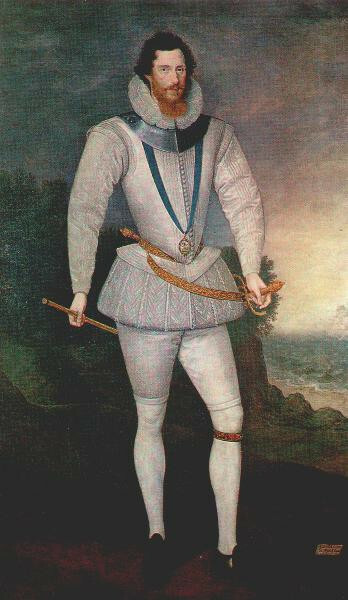 He was handsome, an excellent dancer and he rose fast at court so he must have been the queen’s lover. Thanks to Elizabeth, he became extremely wealthy but poured most of it into an elaborate house and died with empty pockets. She seemed to remain fond of him throughout his life too. He never married so perhaps there was something there…? Half her age, boyishly handsome (are you noticing a pattern here?) 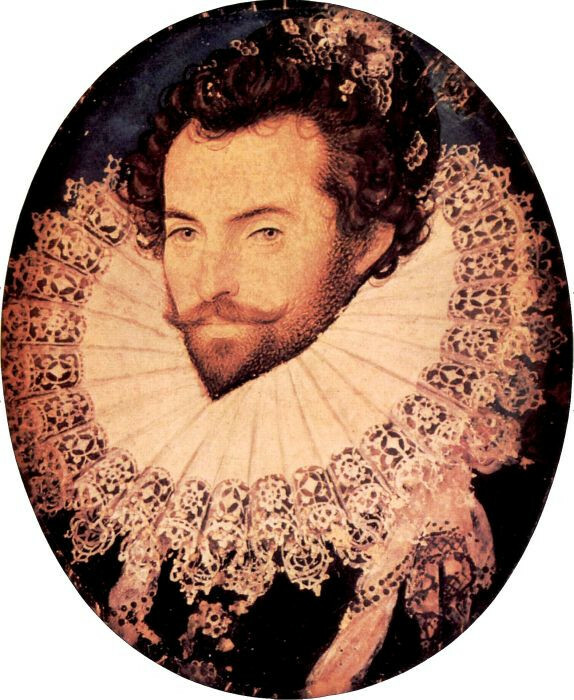 and he had shapely legs – what more does a lascivious, aging Elizabethan lady need? An older woman in power and a young man desperate to make his way in the world spelled disaster for him and humiliation for her. 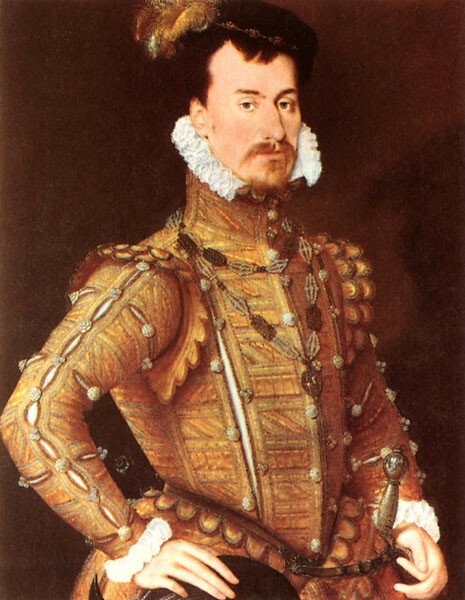 Liz made a fool of herself but she managed to redeem her damaged reputation by beheading him in 1601 after he attempted an unsuccessful coup. Love gone wrong? Just a bit. What a man! Adventurer, writer, spy and (you guessed it) handsome…they just don’t make ’em like Raleigh anymore. He rose in favour and she heaped rewards on him, but he fell out of favour when he married in secret. The queen’s favourites (ie. lovers?) do NOT wed without her permission and if they do, she sends a clear message of her displeasure by throwing them in the Tower. She released him, however, so he could go on more adventures and bring home more riches.